So, to help you out, we’ve compiled a list of Perth’s best furniture stores for you. What makes them the best? Well, for a start, all of these companies have products that feature in our range of furnished Display Homes, adding a real touch of quality and style. And, secondly, all are wonderful to work with, offering plenty of advice to help bring your new home to life. So, without further ado, here is our list of Perth’s best furniture stores. Enjoy! A name synonymous with quality, Nick Scali offers a huge range of stylish, innovative and functional furniture pieces and accessories to add that finishing touch to any new home. You can find out more by visiting their website here. Not only does The Furniture Gallery offer a huge range of stunning furniture and décor, but they also offer FREE in-store interior design consultations with their talented Interior Designers, who can also be booked to visit your home, too. Check out their website here. Nothing brings a room together quite like statement artwork – and White Frame has a huge collection to choose from. They can also help you create a stunning custom frame for your existing artwork, together with an installation service. You can find out more about their services here. Be prepared to spare plenty of time when you visit one of Empire Homeware’s six WA locations – as no doubt you’ll be entranced by the quality pieces and custom furniture on offer. Empire Homewares is also a proud supporter of Australian homeware designers. Find out more here. Like its name suggests, Sitting Pretty is all about offering functional and attractive seating options for both indoor and outdoor use. View their huge product offering on their website here. Specialising in modern wallpaper in murals, Scandinavian Wallpaper & Décor is the place to go if you’re looking to give your walls that added va-va-voom. They also offer a range of services, including custom printing – so make sure to pay them a visit! You can start by visiting their website here. 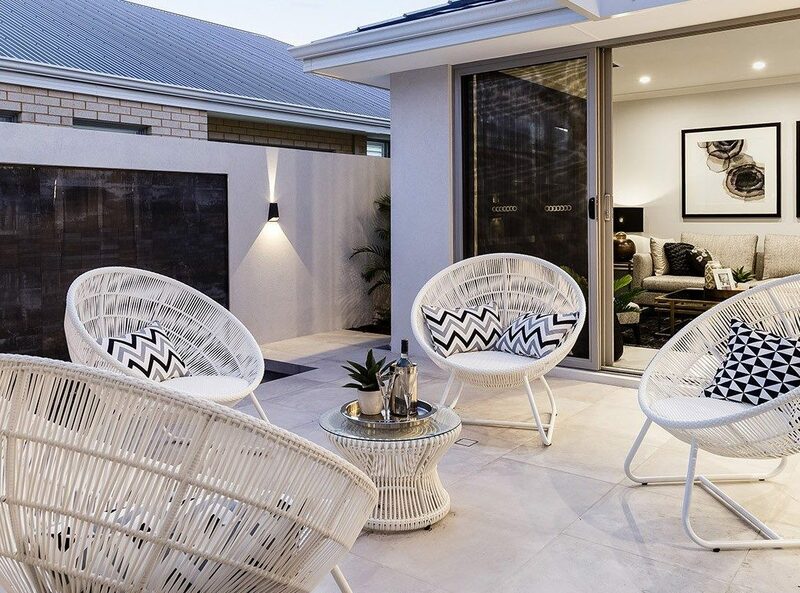 One of Australia’s best-known names in outdoor furniture, Segals leads the way when it comes to quality, style and functionality. They also offer a huge range of homewares, too – making this your one-top shop for when it comes to jazzing up your alfresco space. View their website here. Another well-known name in outdoor living furniture and homewares, Archipelago Outdoor Living’s huge range and design inspiration makes it another must-visit when it comes to bringing your alfresco space to life. Find out more on their website here. With stunning and unique wallpaper designs that will add real personality to any room, Wall Candy is a must-visit if you’re in the Highgate area. You can also see some of their products in action on their website here. Offering a huge range of products for every room, Merlino Furniture is the place to go for stunning pieces that perfectly balance tradition and innovation. Visit their specialised warehouse and showroom today to see their huge product range for yourself, or see their website here. As Merlino is a wholesale supplier, if there is something from there that you love in our display homes which you can’t get a hold of, contact us and we will help you track it down! A WA distributor of GlobeWest, Roxby Lane is a must-visit for serious design inspo. All GlobeWest products are designed and inspired by uniquely Australian living, helping to create truly distinctive furniture that has the ability to transform any room. Check them out here. As Roxby Lane is a wholesale supplier, if there is something from there that you love in our display homes which you can’t get a hold of, contact us and we will help you track it down! We hope you find this list helpful when choosing furniture for your forever home! Ventura Homes is proud to partner with these suppliers and believes their stunning furniture and home-wares add the perfect finishing touches to our range of Display Homes. Be sure to let us know on Facebook what your favourite stores are!